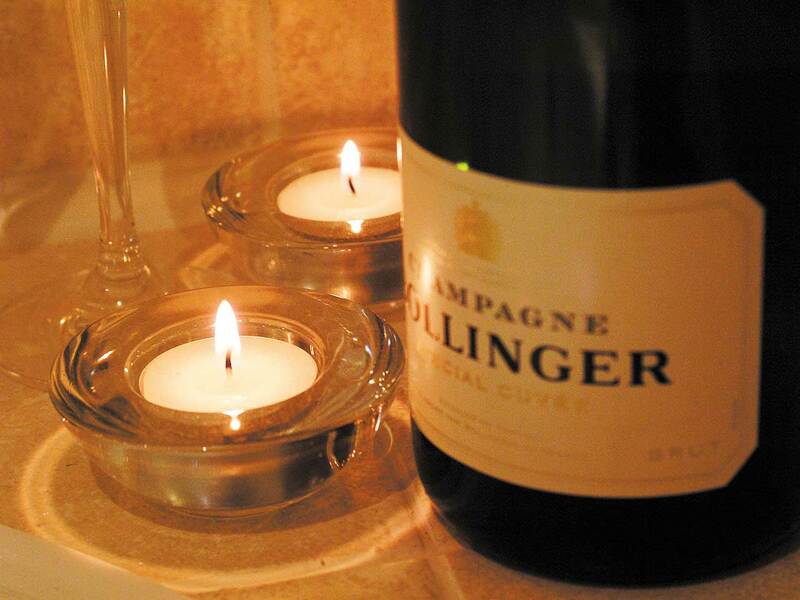 Our one bedroomed cottages are designed for couples looking for a luxury romantic break. Linen and towels are provided, and each cottage is equipped with bicycles, picnic backpacks, beach towels and a set of golf clubs. The cottages have been built to provide category 3 assisted wheelchair access for residents. Smoking and pets are not allowed on the premises. 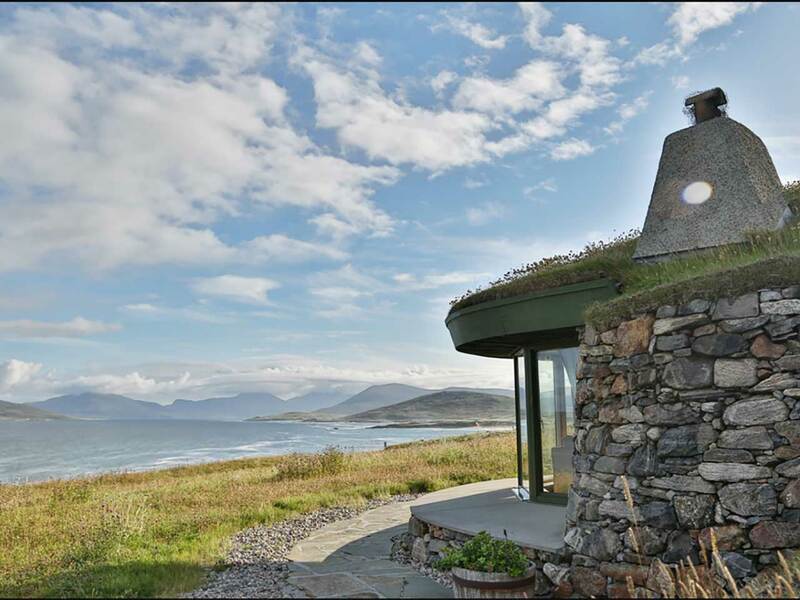 A long curved bay window gives spectacular views of the beaches shown on this website, Scarista, North Harris, Taransay and the Isle of Uist. 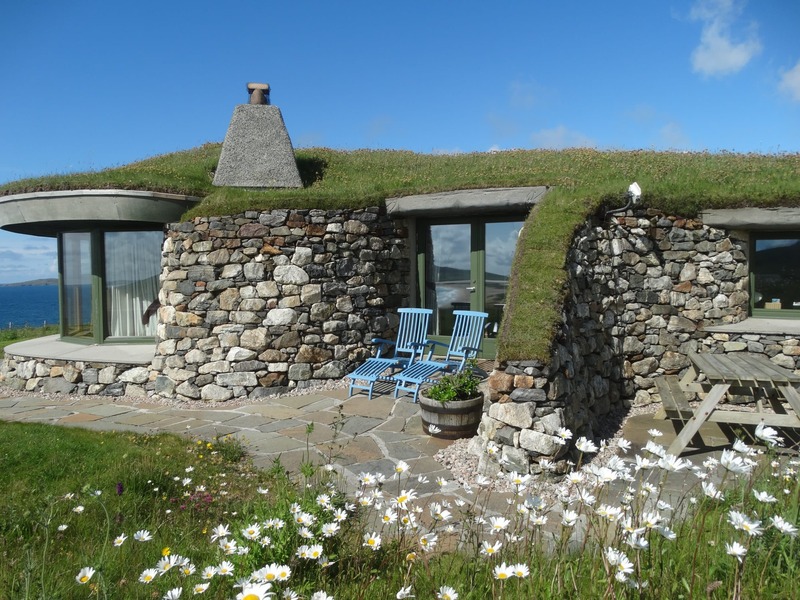 For comfort and enjoyment the under-floor heated stone flooring and solid fuel-burning stove situated in the main stonewall give a Hebridean warmth to your surroundings. We also provide Sky TV, a DVD player and a Bose music centre and iPod docking station. Our fully equipped open plan kitchen opens out into the observation area and is adjacent to the dining area. Fitted with a king size bed, this is a large spacious room furnished with Harris Tweed soft furnishings giving a luxurious feel. The Harris Tweed used in the soft furnishings in the cottages has been woven by local Harris weaver Mr Donald John Mackay- MBE. 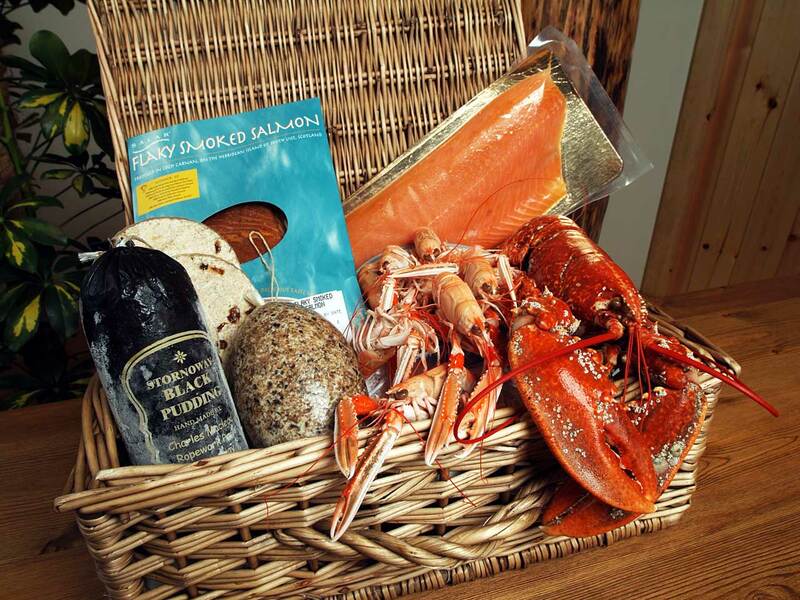 Donald John and his wife Maureen live in Luskentyre and independently produce Harris Tweed, trading under the name “Luskentyre Harris Tweed Company”. Harris Tweed has been woven in the Mackay family for generations. Situated off the master bedroom this room is furnished with a desk and broadband internet connected computer incorporating wifi and Skype. There is also a rowing machine. 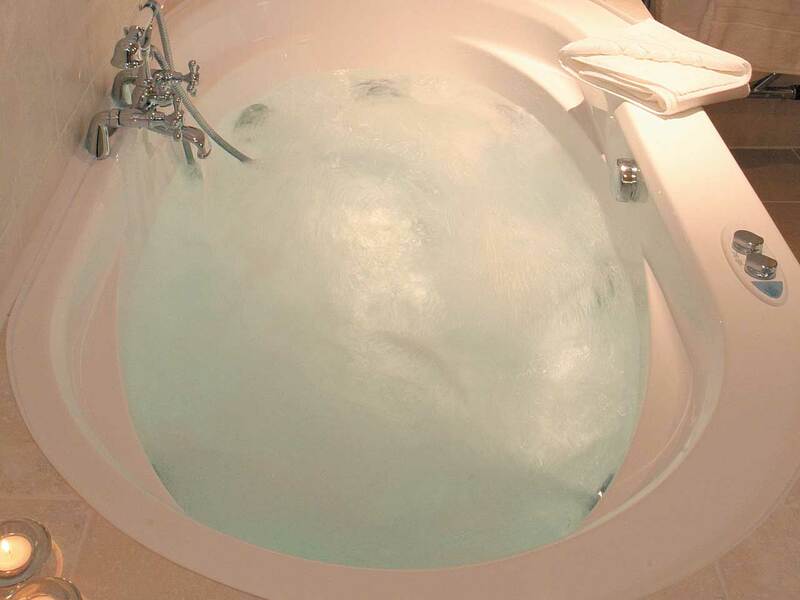 For those who enjoy being pampered, the bathroom includes a Jacuzzi bath and sauna for two. 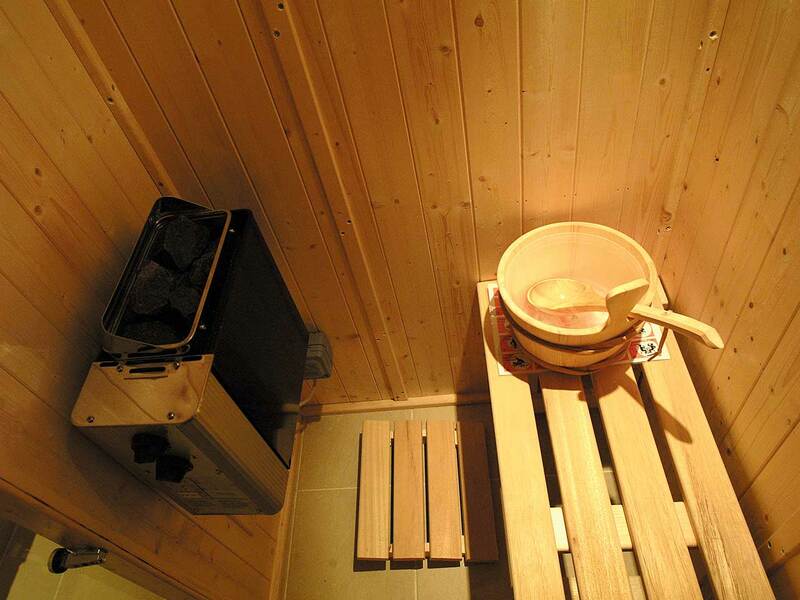 Each sauna has a stunning view of the “machair” surrounding the cottage. Molton Brown toiletries are complimentary during your stay, and bath robes and slippers are provided. Our one bedroomed, self catering, five star luxury cottages are designed for couples looking for a luxury romantic break on the Isle of Harris.